If you are having a sentinel node biopsy your breast surgeon or oncologist may have mentioned micrometastases. In actuality, micrometastases are extremely important with almost any type of cancer and are the reason behind what is called "adjuvant therapy." What exactly are micrometastases and what does it mean if you have micrometastases in your lymph nodes? Micrometastases are a small collection of cancer cells that have been shed from the original tumor and spread to another part of the body. They cannot be seen with any imaging tests such as a mammogram, MRI, ultrasound, PET, or CT scans. These migrant cancer cells may group together and form a second tumor, which is so small that it can only be seen under a microscope. The presence of micrometastases is extremely significant. It's not usually the primary cancer (whether in the breast, lungs, or other regions of the body) which does the most damage. In fact, it is when cancer spread (metastasizes) to other regions of the body when it does the most damage. Roughly 90 percent of people who die from cancer die from metastatic disease. When cancer first spreads, it takes up residence as a small cluster of cancer cells. This small cluster of cancer cells is known as a micrometastasis (microscopic metastasis). This cluster of cancer cells is too small to be felt and can only be seen clearly under a microscope. These clusters do not show up on any imaging tests that we have available today. In other words, the only way to know if micrometastases are present is to remove the tissue where they are located and look at slices of the tissue under the microscope. With a lymph node biopsy, it is possible to do this, but it is impossible to remove every lymph node. It is also impossible to remove other organs of the body to look for spreading. We can't take out a person's lung, liver, and bones to look for any evidence of tumor. This is the thought behind adjuvant chemotherapy or adjuvant radiation therapy. When a tumor is of a particular size or if it has spread to lymph nodes, it's assumed that there may be tiny metastases elsewhere in the body which cannot yet be detected. It's felt that tumors that metastasize and grow apart from the original tumor begin as these small clusters of cancer cells. Micrometastases are the reason for treatments such as adjuvant chemotherapy or adjuvant radiation therapy. These treatments are used after a primary tumor has been removed to "clean up" any micrometastases near the origin of the tumor (via radiation) or anywhere in the body where they may have traveled (via radiation). When used in the setting of most cancers, micrometastases refer to these cells that are suspected to have traveled (metastasized) from the tumor but are not detectable by the imaging studies we currently have available. A further classification of these small areas of spread is of use in talking about sentinel node biopsies with breast cancer. In that setting, micrometastases are defined as clusters of cancer cells that are between 0.2 mm (millimeters) in diameter and 2.0 mm in diameter. In contrast, "isolated tumor cells" are clusters of cancer cells that are smaller yet; less than 0.2 mm in diameter. For women with breast cancer who do not have evidence of lymph node involvement on exam or ultrasound, a sentinel lymph node biopsy has become a standard of care. In this procedure, blue dye (that is also tagged so it can be detected radiographically) is injected into the tumor and allowed to travel. When cancer spreads from tumors it often spreads to lymph nodes in a predictable pattern. By doing a biopsy of the sentinel node or nodes—the first few nodes that cancer would travel to—many women are spared a full axillary lymph node dissection (removal of all or many of the lymph nodes in the armpit). Since full axillary dissection can result in complications such as lymphedema, this procedure may spare some women this complication. Research is ongoing to determine the significance of micrometastases in the sentinel node. Thus far it's known that macrometastases (metastases larger than 2.0 mm) worsen the prognosis of the disease. It's also been found that the prognosis of women who have micrometastases to the sentinel node have a poorer prognosis than women who do not have any evidence of tumor in these lymph nodes. In contrast, women who have isolated tumor cells in the sentinel node (by definition an area of tumor cells less than 0.2 mm in diameter) do not have a prognosis any worse than a woman with no evidence of metastases to the sentinel node. Having this information can help researchers learn further which women will need a full axillary lymph node dissection, and which women should consider adjuvant treatment of their breast cancer. Within the setting of breast cancer, the finding of micrometastases is important in choosing the right treatment. Breast cancers which have begun to travel so that cancer cell clusters are found in the lymph nodes are more likely to spread to other regions of the body. Therefore it's usually important to be more aggressive and use adjuvant chemotherapy and/or radiation therapy (to eliminate potential clusters of cancer cells not only in the nearby lymph nodes, but those which may have traveled to the bones, liver, or other regions). Yet micrometastases are critically important with almost any cancer. 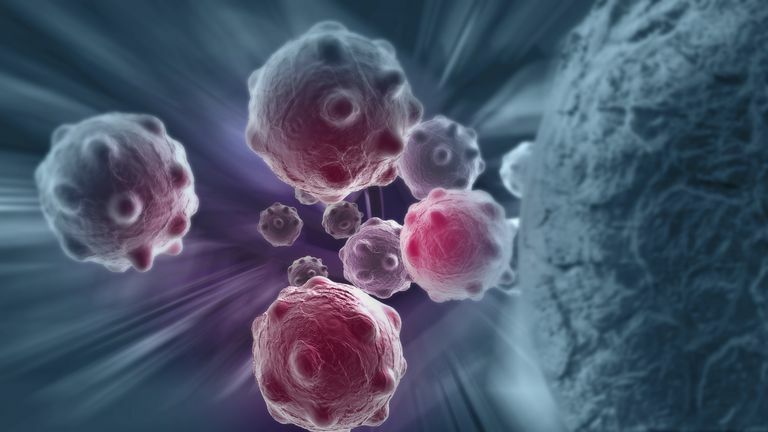 It is these initial clusters of cancer cells which travel from the original tumor, often to lymph nodes, and then to other parts of the body such as the lungs, the bones, the liver, the brain, or other regions. If we could find and then eliminate micrometastases we could theoretically eliminate the cause of 90 percent of cancer deaths. Mayer, E., and L. Dominici. Breast Cancer Axillary Staging: Much Ado About Micrometastatic Disease. Journal of Clinical Oncology. 2015. 33(10):1095-7. National Cancer Institute. Breast Cancer Treatment (PDQ)—Health Professional Version. Updated 10/13/17. Tvedskov, T., Meretoia, T., Jensen, B., Leidenius, M., and N. Kroman. Cross-Validation of Three Predictive Tools for Non-Sentinel Node Metastases in Breast Cancer Patients. European Journal of Surgical Oncology. 2014. 40(4):435-41.